Stunning soft navy clutch bag by the Spanish Designer, Menbur Avance. Pretty navy gem and diamante encrusted flower centre with frayed fabric round the outside. 26cm wide x 13cm tall. Also comes with a dust bag to keep in great condition while in storage. 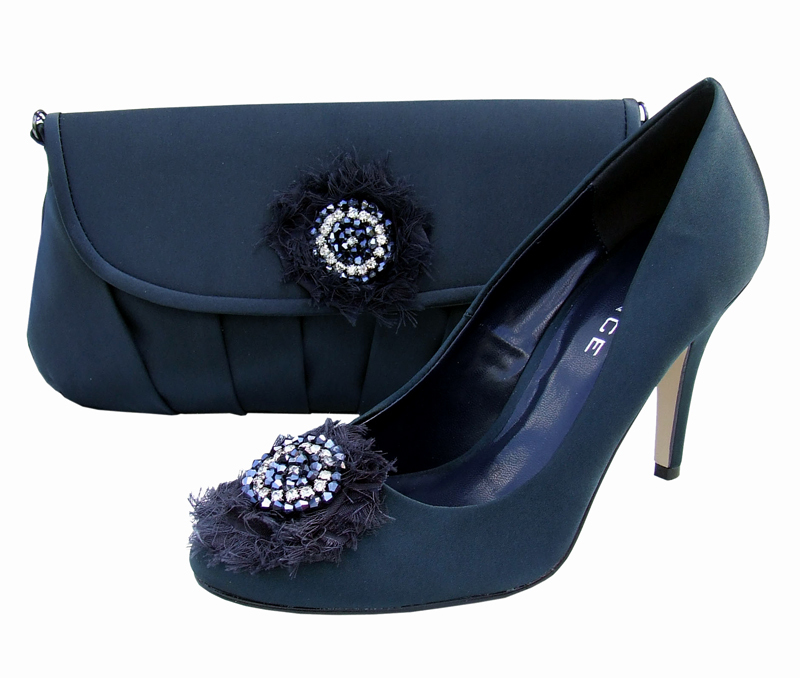 The navy evening bag is a perfect match for the Menbur Avance Navy Shoes.